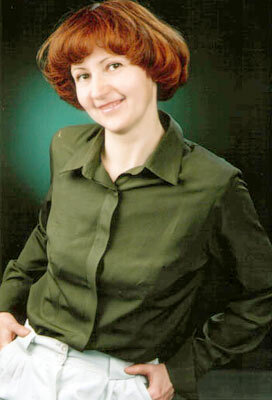 Penza City Meeting - 11768 Irina Vinnitsa (Ukraine) 54 y.o. I am fond of reading religious literature, cooking. I think that I am very tender and romantic. I also like watching interesting movies and walking in the summer rain. I am very life loving person. I am the most attractive, honest and attentive woman in the world. I like to make my home cozy and clean. I have so much unexpended love and tenderness to share. I am tired of loneliness and want to find someone to share my sorrows and joys. I am very active person and I have many friends with whom I like to spend my time somewhere in the fresh air out of the city. I would like to meet religious,respectable and honest man who wants to love and be loved. I see him as very romantic person.